Rabbinical writer, and chief rabbi of Sarajevo in Bosnia; lived in the first half of the nineteenth century. He wrote "Be'er ba-Sadeh" (A Well in the Field), a supercommentary on Rashi's commentary to the Pentateuch, and on its supercommentator, Elijah Mizraḥi. 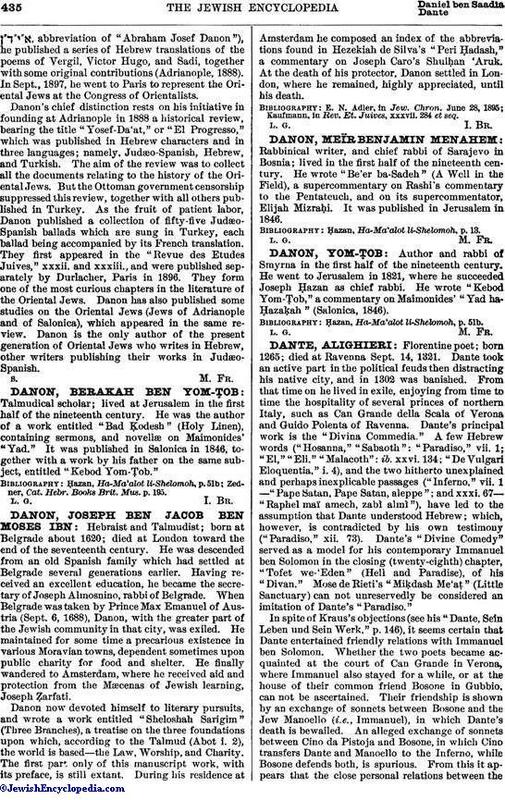 It was published in Jerusalem in 1846. Ḥazan, Ha-Ma'alot li-Shelomoh, p. 13.